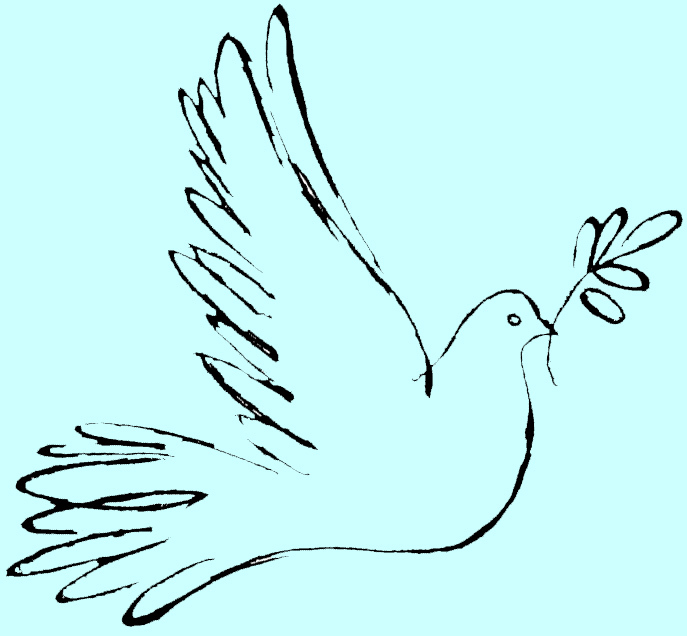 Stockport Peace Forum continues to organise regular meetings on subjects broadly in line with our aims (as detailed on our web-site). The committee meets five or six times a year to arrange the meetings and other activities. There are currently seventeen ‘paid-up’ members of SPF who may attend the AGM, stand for the committee and vote, and receive a financial report. This annual report of activities is circulated, either by post or email, to about 180 supporters, who are encouraged to become members by paying an annual £5 subscription. 8th September ‘08 - Rae Street provided us with detailed information about the breaking of the nuclear Non–Proliferation Treaty by the proposed NATO bases in eastern EU countries. 18th November ’08 – AGM followed by Every Action Counts: workshop run by Phoebe to consider the environmental impact of everyday activities and what can be done to lessen these. Resulting ‘action plan’ discussed. 15th January ’09 - Tariq Mehmood gave a very interesting talk on ‘War, Peace and Pakistan’ followed by informed discussion with other Pakistanis present, especially about rural social structure, health, education and the role of the army. 23rd February ’09 - Nick Ritchie provided a very clear and informative talk on ‘Trident – the deal isn’t done’. As only the 1st of several stages agreed so far he provided arguments and practical steps we could take to influence the decision to scrap Trident. 30th April ’09 – Kate Percival from Refugee Action gave an excellent but disturbing talk on ‘Destitution of Failed Asylum Seekers’, who can be left with no income, little hope and psychologically traumatised. 28th May ‘09 - at a joint SPF/Quaker meeting Neil Endicott spoke about his work on energy and peace, the EU gas pipeline from Turkmenistan, etc. Questions were raised about environmental issues and need for alternatives to fossil fuels. 30th June ’09 – Doug Weir from CADU gave a very informative fact-based talk on Depleted Uranium, including the results of research on its use in Iraq and Yugoslavia, followed by questions and discussion. 31st July ’09 - Paul Thompson gave a very balanced report on the ‘Present Situation in Northern Ireland’, including the history of ‘The Troubles’ and the peace process, and giving insights into the negotiation process. The attendance of meetings has varied from 10 to 20 plus. 11th October ’08: stall in Stockport commemorating the 60th anniversary of the UN Charter on Human Rights. Represented at Town Hall celebration of Human Rights Charter on 10th December. 20th December ‘08: stalls in Marple and Stockport to collect signatures on a Christmas card for the Gordon Brown. January ’09: several evening Vigils with banners and candles on steps of Stockport Art Gallery/War Memorial protesting against Israel’s attack on Gaza. Sheila was interviewed by local radio. 20th June ’09: joint stall with Marple CND and Stockport UNA at the One World Festival in New Mills. 8th August ’09: stalls in Marple and Stockport to remind people of the horrors of Hiroshima and Nagasaki. 21st August ’09: vigil on steps of Art Gallery to remember the 200+ British troops and the many others (especially civilians) who have died in Afghanistan since 2002. 20th September ‘08 demonstration outside Labour Party conference in Manchester, organized by Stop the War and CND and calling for money to be spent on welfare not warfare. 3rd January ’09 demo in Manchester against Israel’s attack on Gaza. January ’09: members and banner present at some of daily gatherings outside BBC in Manchester protesting about their biased coverage of the Gaza/Israel conflict. 10th January ’09: Large demonstration in London, organized by PSC, CND, STW and others protesting at Israel’s attack on Gaza. The BNP stood candidates in the EU election and in Parish and Council by-elections in Stockport. SPF members were active in the local Stockport UAF group, based around the local Trades Council. We also used our peace and faith group contacts to broaden the campaign and were active in leafleting locally, using UAF and Hope Not Hate leaflets, as well as our own local ones. Letter published in the Guardian (9th March ’09) in the name of SPF committee objecting to their biased and distorted coverage of the Viva Palestina convoy of materials sent to Gaza and the high profile ‘arrest’ of some convoy members. Affiliated to Greater Manchester Against War steering committee which meets every two months as a link organisation for community groups and organisations promoting peace in this area. Members are actively involved in Greater Manchester and District CND. Supported Marple CND’s Coffee Morning. Supported Stockport UNA’s activities, including the International Supper. We would welcome ideas for future meetings. If are not already a member of SPF, please consider supporting us by becoming a one. You may wish to join the committee too and help with organising the meetings. Contact details via this website or at the monthly meetings.